The underfloor heating turning board has turning slots on the upper side to accommodate underfloor heating pipe. it can be installed on both floor joists and on an existing floor. 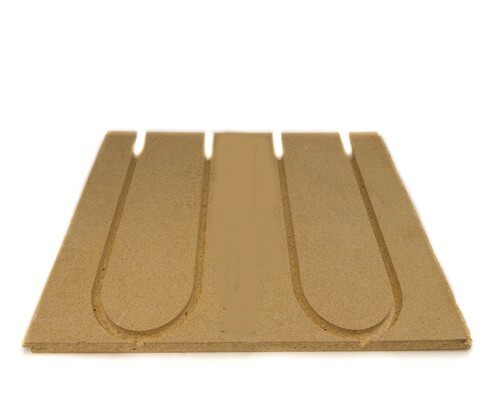 Recommended to be laid directly on to joists up to a maximum of 600mm centres. The slots enable the emission plates and pipe to be laid within the chipboard. A 12mm ply or chipboard capping layer is to be laid over the top prior to floor finishes.